I was very nervous when I approached Dave to review my book but I’m very glad that I did. Although both ecology and neuroscience are at the heart of the world Hearn creates they do not dominate the novel, making this very definitely a character-driven thriller. When extremes of weather began to disrupt infrastructure and displace populations even in industrialised nations, the United Nations finally agreed a global solution to climate change. Sustainable power, cutting-edge technology, and open government now allow humanity to retain its comforts without destroying its future. Thank you, Corri. I hope you continue to enjoy it through to the end. Another good review, Dylan – and well deserved too. There are enough challenges in writing a compelling story, without layering this into a creatively imagined future – but you succeeded on both counts and I hugely enjoyed the result. It’s almost at the top of my pile now. Enjoyed reading the review – congratulations Dylan. Thanks! I’m looking forward to hearing your thoughts too. Hi there. 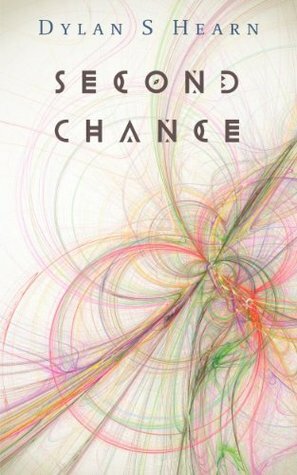 I absolutely love your cover design for Second Chance. Did you think of it and what does it represent? Thank you Hailey. Sadly I didn’t think of the design. It was created by James at goonwrite.com. I chose it because it coulee seen as representative of two key elements from within the book, the datasphere but also the neural network within the brain.